Stay on top of the trends with our rose gold metallic ombre glassware. 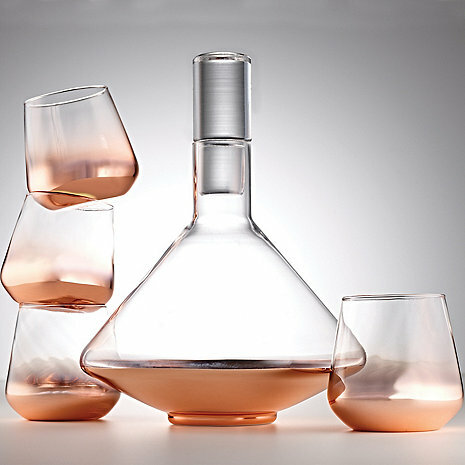 Set includes decanter with metallic rose gold base with stopper and 4 ombre rose gold wine tumblers. Hand washing recommended. 70 oz. decanter and four 12 oz. tumblers. Amazingly beautiful. Makes you feel good just holding it and serving. Bought for my husband he had smaller decanter but didn't work very well this one holds so much more and husband is thrilled with it and tumbles are and added bonus!